Semantic search is a technique to search for data which focuses on analyzing a query to fetch results that are contextual to the query and also takes the user intent into consideration, instead of just focusing on showing results based on keywords. Since semantic search is all about understanding the query, the technique provides more meaningful and relevant search results as compared to the traditional keyword based approach. Semantic search has revolutionized the way we search by making the search process much faster, highly accurate and more relevant to the user’s query. Also, semantic technology has widened the scope of search by making it possible to fetch results from even the non-optimized sources, which is never possible with keyword based search. 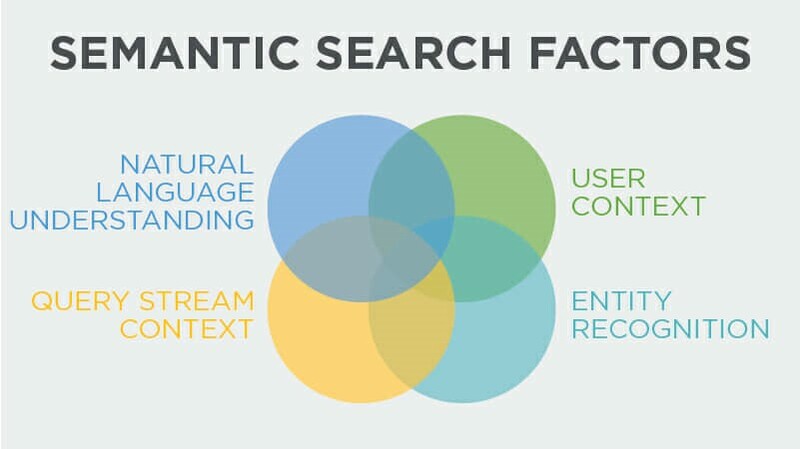 The image below shows the factors contributing to semantic search. Web search engines have of late started using semantic search and Google is a good example. If you type a query into the Google search box, you get the relevant results even if there are minor typos or spell errors in your query. It means even if your query fails to match any keyword, the smart search algorithms powered by Semantic Search will fetch you the relevant results. However, web content is largely optimized to keywords and so keyword based search approach works quite well. However, when it comes to unstructured data, keyword based search fails and this is where semantic search can help. No wonder then that enterprises around the globe, who are facing the challenge of ever increasing volumes of unstructured data, are realizing the importance of investing in an enterprise search engine like 3RDi Search that is powered by semantic search and can fetch the most relevant insights from unstructured data. We have previously talked about the Semantic Analysis of Text which explains in detail how the concept of semantic search works. So, we shall move on to understand how the modern enterprise search engines are using the concept of semantic search to create an enhanced search experience for the users. Every organization today is forced to deal with ever increasing volumes of unstructured data which includes data from multiple sources including emails and social media. This unstructured data has key information hidden in it which cannot be retrieved using conventional keyword based search. 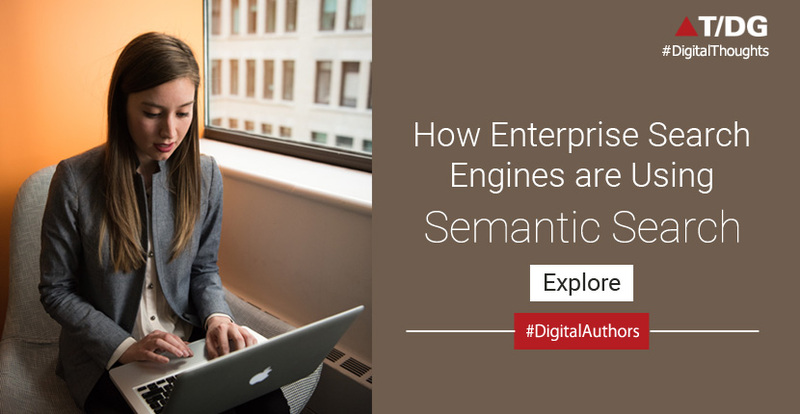 However, an enterprise search engine powered by semantics converts the unstructured data into structured data, analyzes it and derives insights hidden deep within it. As we know, the semantic technology makes it possible to provide users with the most relevant results that keyword based approach fails to provide. Getting access to accurate results in the fastest time helps enterprises enhance the user experience by making them happy with the search experience. The access to the relevant insights hidden within unstructured organizational data opens doors to all new opportunities for enterprises to use the information to formulate informed business decisions, which was not possible earlier. Informed decision making is key to formulate strategies to fuel business growth. So, a semantic search tool can benefit the modern enterprise in many ways. 3RDi Search is one such platform that is powered by semantics, along with NLP and AI. It is a comprehensive text analysis suite that is designed to cater to every data mining, search and associated needs of enterprises. 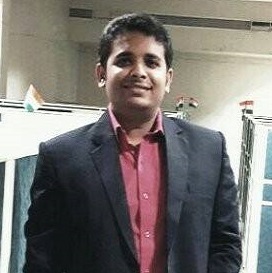 Over 8+ years of experience & a flair for conceptualizing, developing and implementing innovative practices for IT product/ service marketing and management. Extensive exposure in Digital Marketing, Market Research & Project Management encompassing strategic planning & execution, Campaign Management, Web Portfolio management, Analytics & Reporting, Content Strategy, Social Media, Branding, and team handling. Currently designated as a marketing manager at DIgital Group Inc.